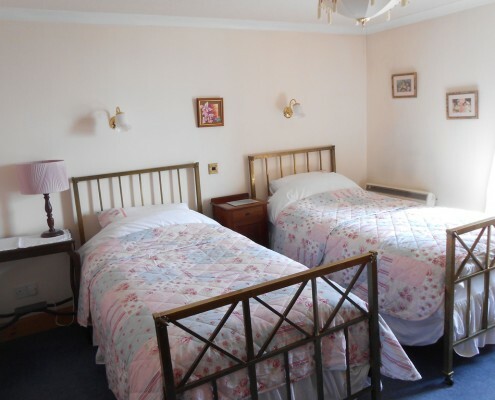 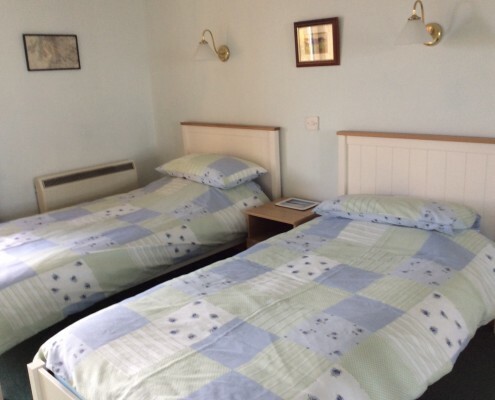 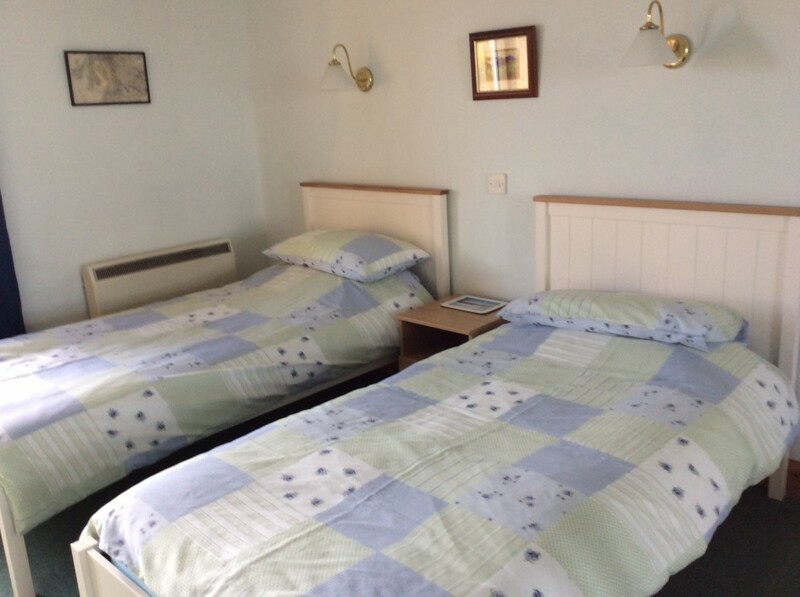 The ground floor consists of two twin bedrooms (with cot if required) and a bathroom with bath/shower. 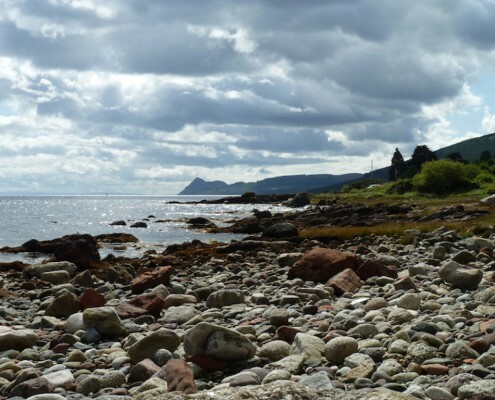 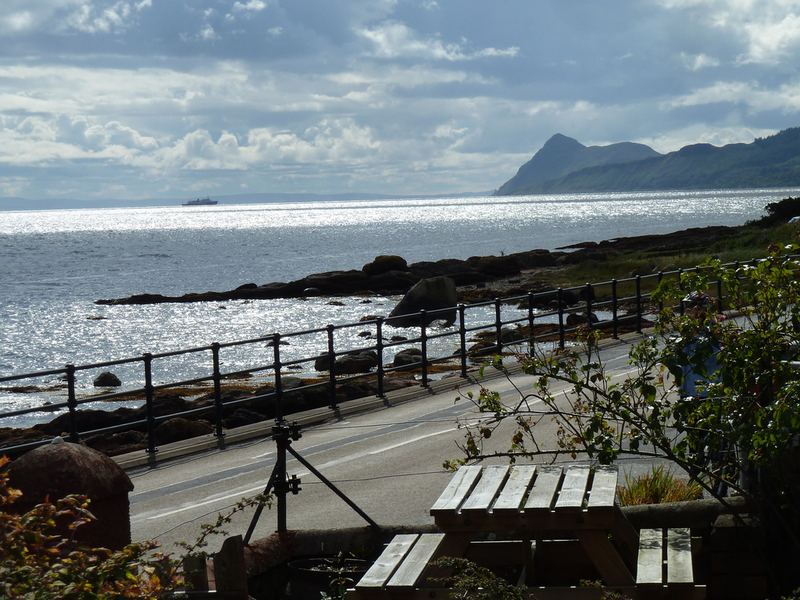 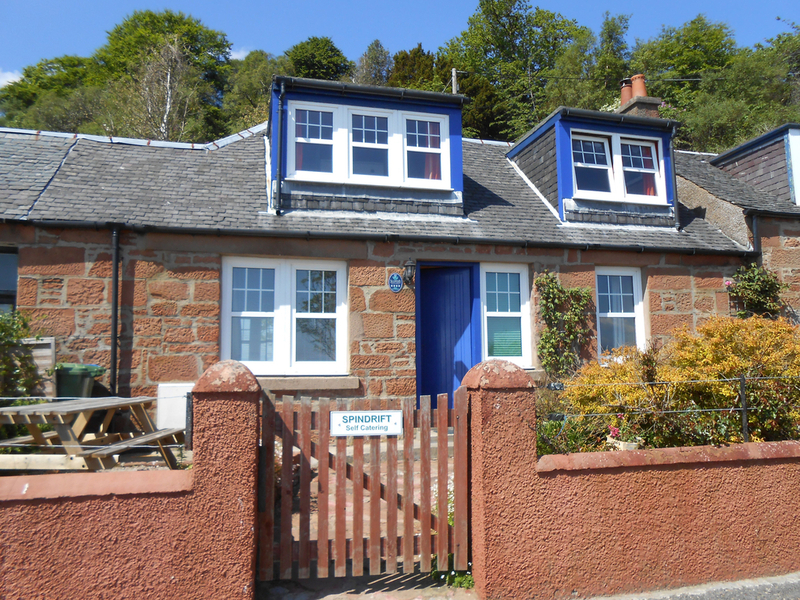 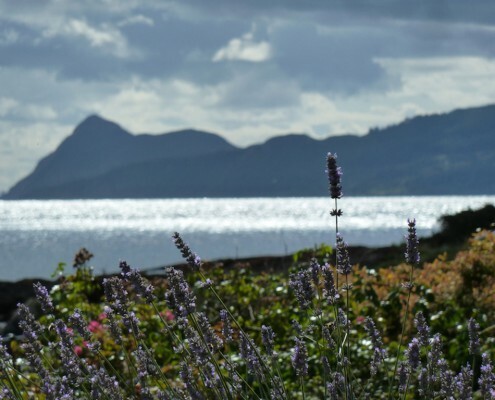 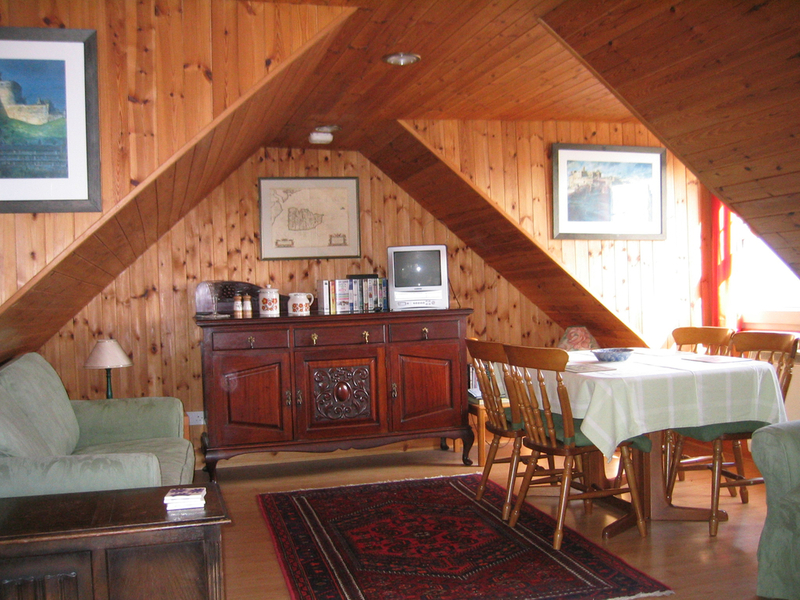 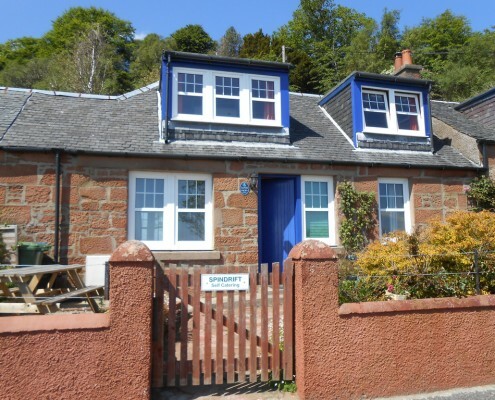 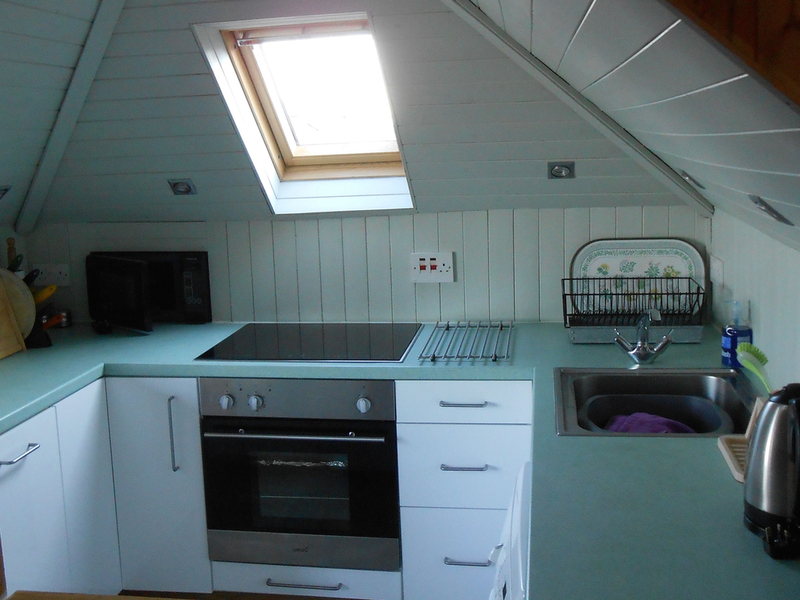 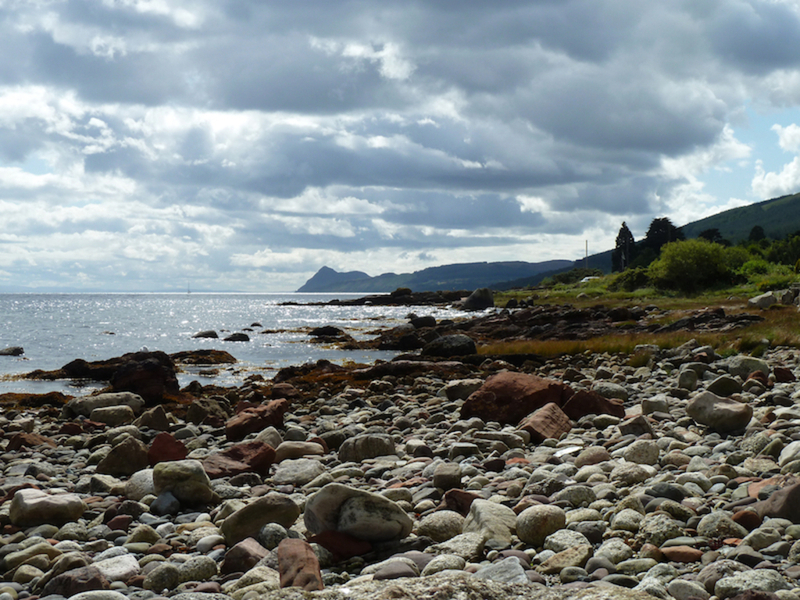 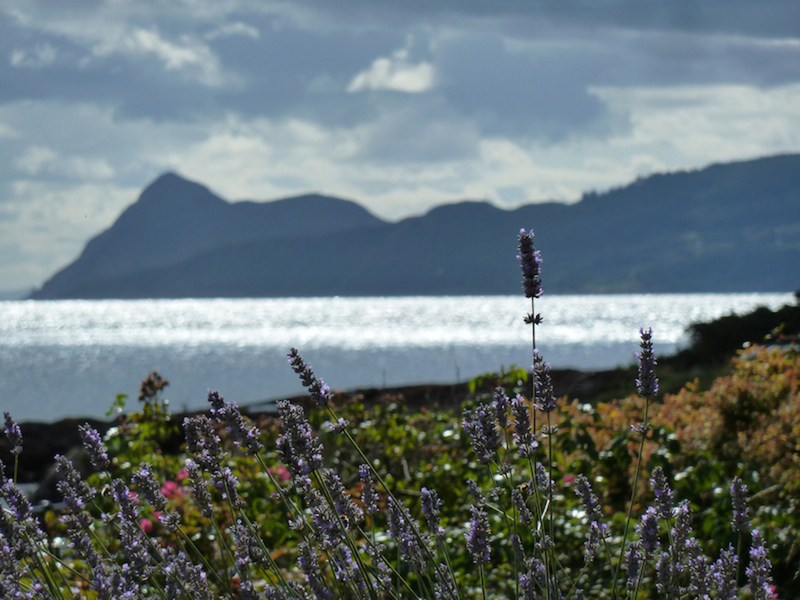 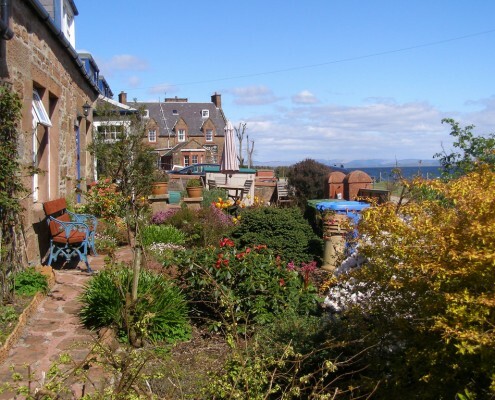 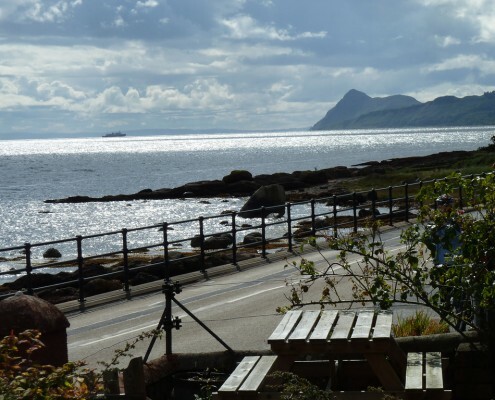 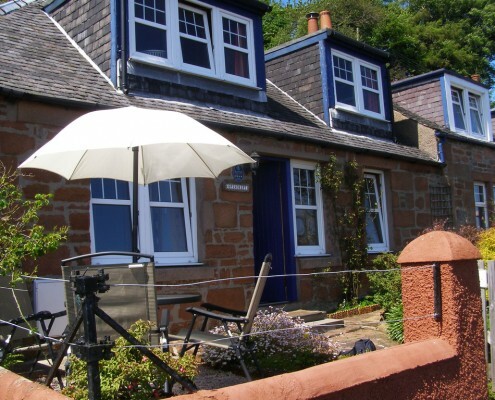 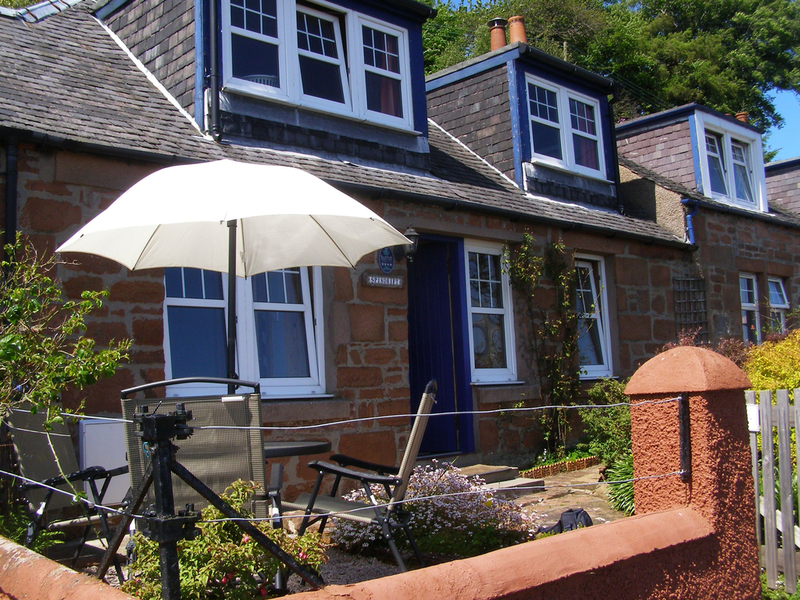 The upper floor of the cottage is completely open plan and offers great views over the sea. 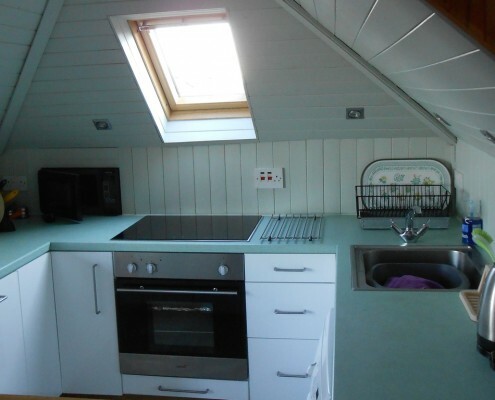 This floor consists of a well equipped kitchen with dishwasher and washing machine/drier and a comfortable living space with patio doors leading out to a terraced garden at the back of the cottage. 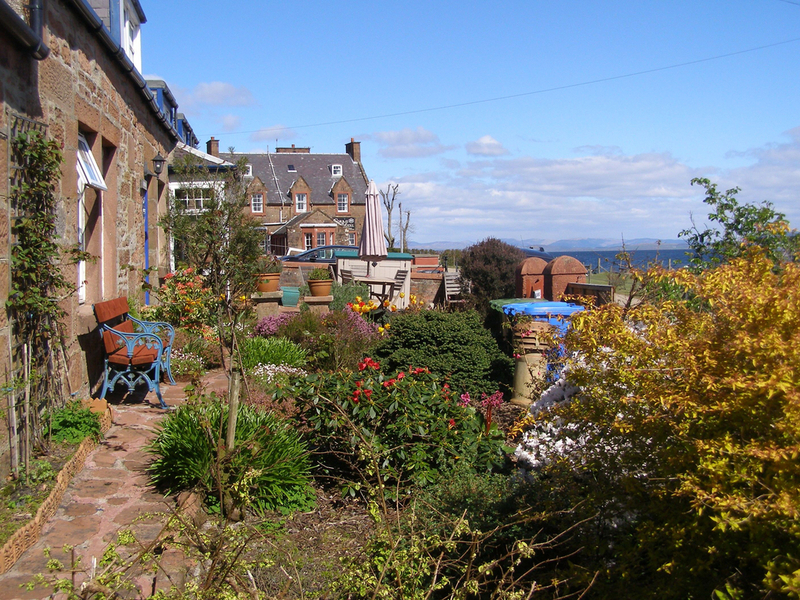 The small enclosed garden at the front of the cottage has a patio area and picnic table – an ideal spot to enjoy a cup of coffee and observe village life. 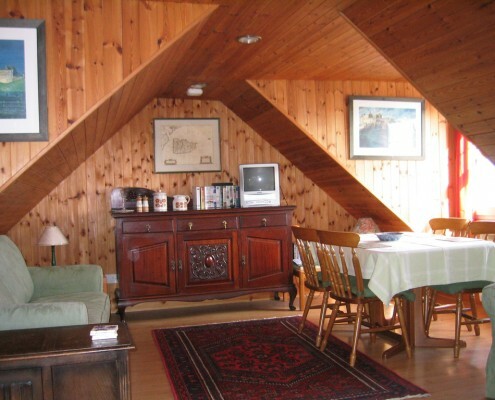 Spindrift has free wi-fi for guests.